Over the past few weeks, I've been working on a campaign with Pizza Express to help promote eating out as a family. The girls and I reviewed our local restaurant at the beginning of the Easter holidays and then last week, along with twelve other bloggers, we hosted a Twitter party to talk about what people like about dining out with their families, what they don't, and what restaurants do right when it comes to making it a pleasurable experience. 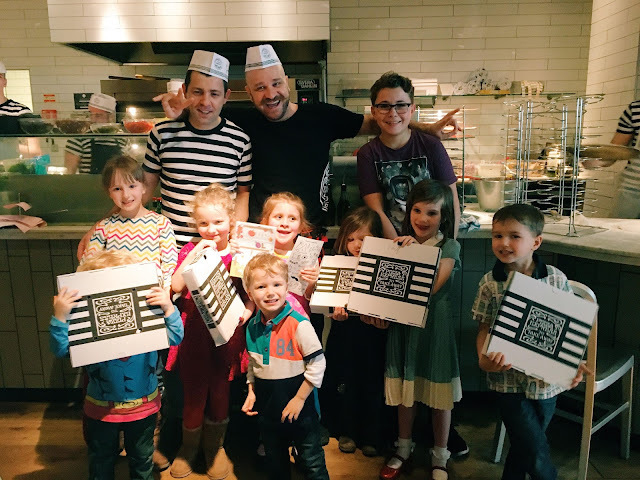 It was universally agreed that Pizza Express have nailed it when it comes to family friendly eating; they have a brilliant, authentic and extensive Italian menu that everyone enjoys and they also treat children as they do grown ups, which makes everyone happy! Today was the last day of the campaign, and we were invited to Pizza Express in Westfields, Stratford for a pizza party! 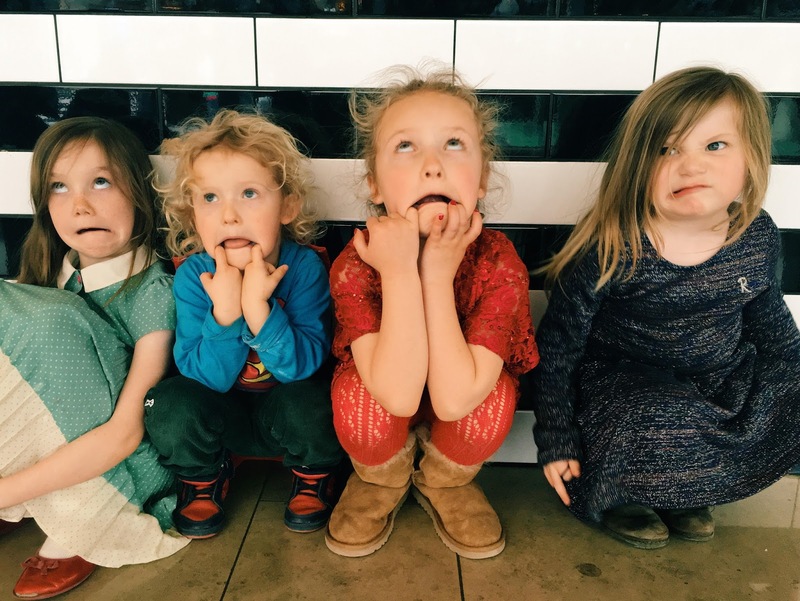 When we arrived, we were all seated, and an area at the back of the restaurant had been sectioned off to create workspaces for all the children. Gean was our head chef for the morning; he and his colleagues had already laid everything out ready for the kids to crack on. As well as talking them through the steps involved in making a pizza, he also helped every child and gave demonstrations too. He was utterly brilliant at keeping the children entertained and praising them, making them all feel very special. 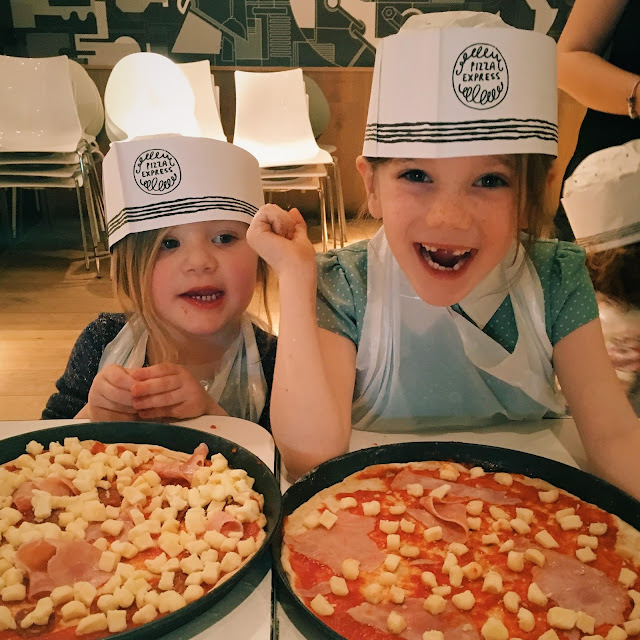 Daisy and Evie loved being able to choose their own toppings - and also enjoyed wearing their chefs hats and aprons! While they were busy making their lunch, us grown ups got to sample all the new dishes on the spring menu (I finally got to taste the Hawaiian pizza that everyone had been raving about in their reviews - it was the best pizza I've ever had and I'm not usually a fan of fruit on pizza!). Once the children's pizzas had been numbered (to make they went back to the right person) they were put into the oven, and the kids were given dough balls to munch on and were invited to take part in a colouring competition while they cooked. If you want to find out exactly what goes on at one of these parties, you can take a little look at this video I made! The kids loved every minute of the pizza party and were very proud of their pizzas! 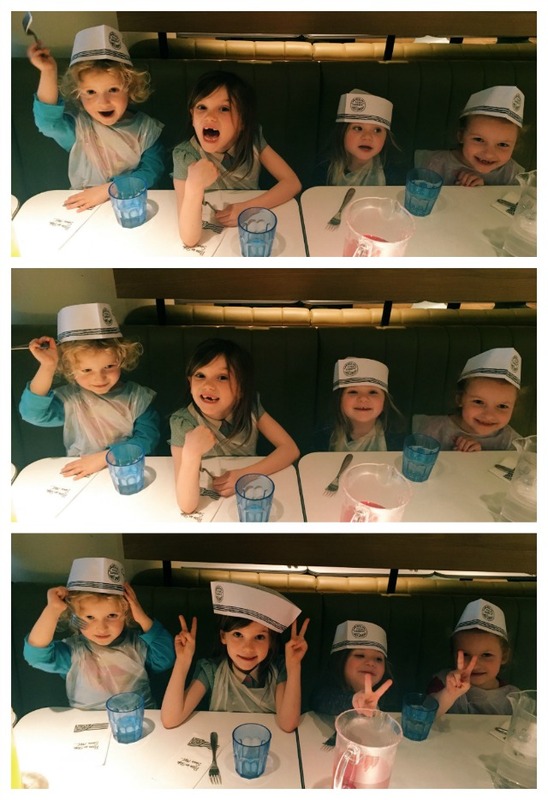 Evie has already asked to go to Pizza Express with her friends for her fourth birthday later this year. The girls had an absolutely brilliant time - thanks so much to Gean and the team for looking after us and for being brilliant party hosts!